I love the silver tray presentation Merisi. Just gorgeous and very chic. This picture is so good! perfect to be framed! 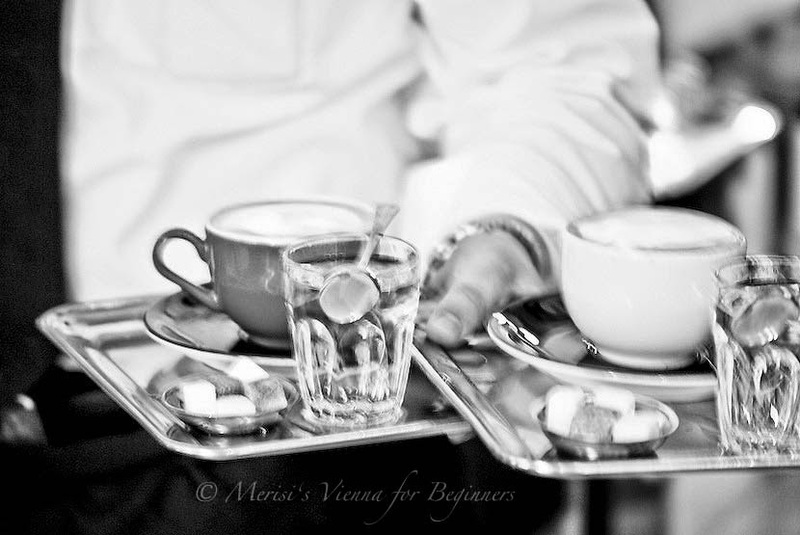 there is something magical about being presented a perfect cup of coffee the Viennese way, isn't it? This reminds me of an early 1960s style ad. It was meant to be black and white. Great shot. the last time I was in Rome, the place was too busy, unfortunately. I'm not accustomed to that kind of decadence. How I'd love to sit there today! It wouldn't be Vienna without the coffeehouses would it? The little Lumix does a good job! I always love a good cup of coffee! Great contrast! Ah, great way to start any day!! Thanks, as always, for sharing, Merisi! Hope your week is going well!! Lovely and very elegant photography ~ looks very inviting! This is one of those photos that tells a story - I just love it! It would be a great book cover or prompt for a writer's group! And, from some one who's lived in Europe, it takes me right back there! Thanks for linking up!